Business hours: 10am to 10pm daily. More than the usual bites at Japanese restaurant. 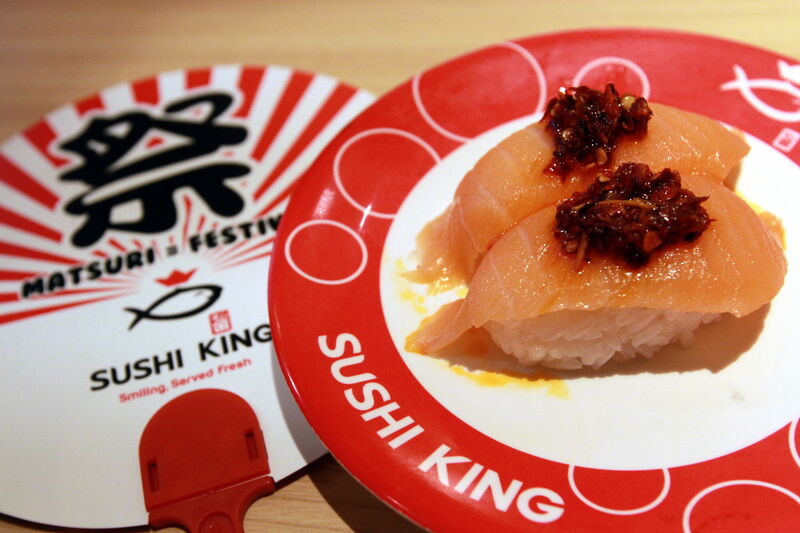 INDULGING in authentic Japanese street food has been made easier as Sushi King brings in several popular favourites. 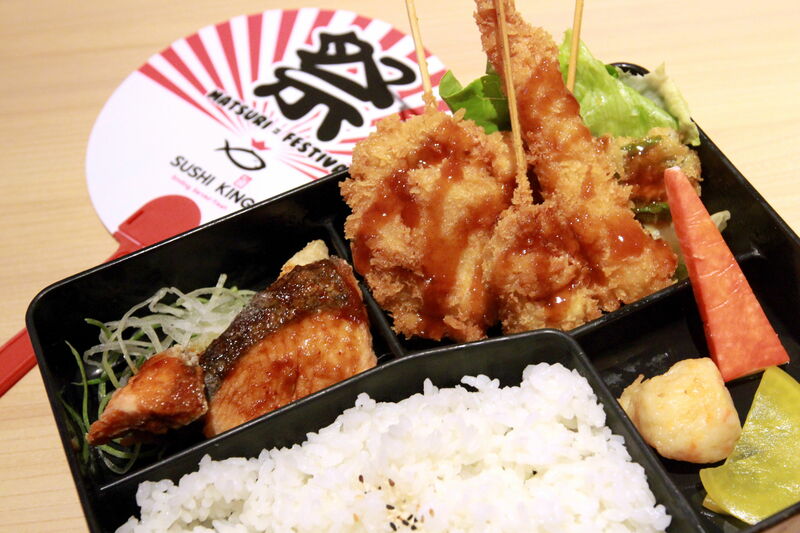 The Japanese Street Food promotion is part of the company’s efforts to introduce Japan’s culture to Malaysians. Sushi Kin Sdn Bhd executive director Law Hwee Ching said they wanted to introduce more variety to the menu. “We do not change our menu very often, hence we felt the need to bring in special promotions so diners can enjoy the best Japan has to offer,” she added. Start your meal with deep fried pumpkin, a rather delectable dish with unsuspecting flavours that burst in the mouth with each bite. The sweetness of the pumpkin goes well with the crispy batter before a dash of salt is added to the piping hot dish. 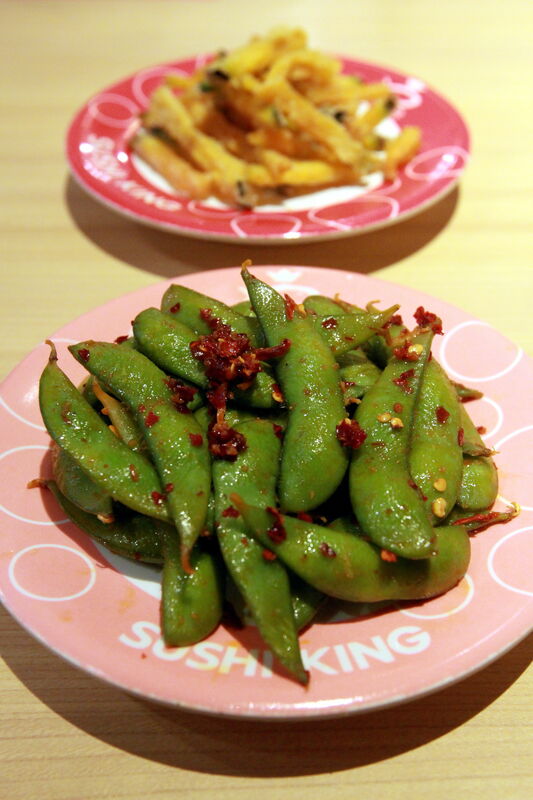 For starters, try the Spicy Edamame (front) and the Pumpkin Tempura. 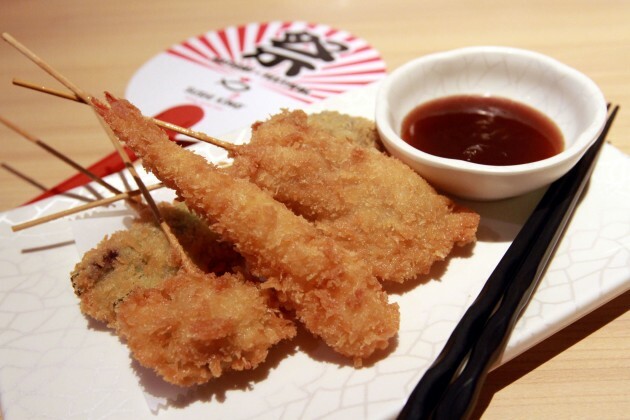 Fried items (tempura) are a must-have, along with okonomi sauce, popular among vendors in Japan. The sauce, said Law, is fruit and vegetable-based, and contains very little sugar and salt. One of the tempura delights is takoyaki (octopus ball). “Usually, takoyaki is grilled but here, the octopus ball is breaded with tempura batter and deep fried for a nice crunch before you sink your teeth into the savoury octopus,” Law added. There is also the Kushiage Moriawase, an appetising tempura-style snack on skewers served with okonomi sauce. The platter with prawns, sweet scallops, chicken and vegetables is priced at RM11.90. 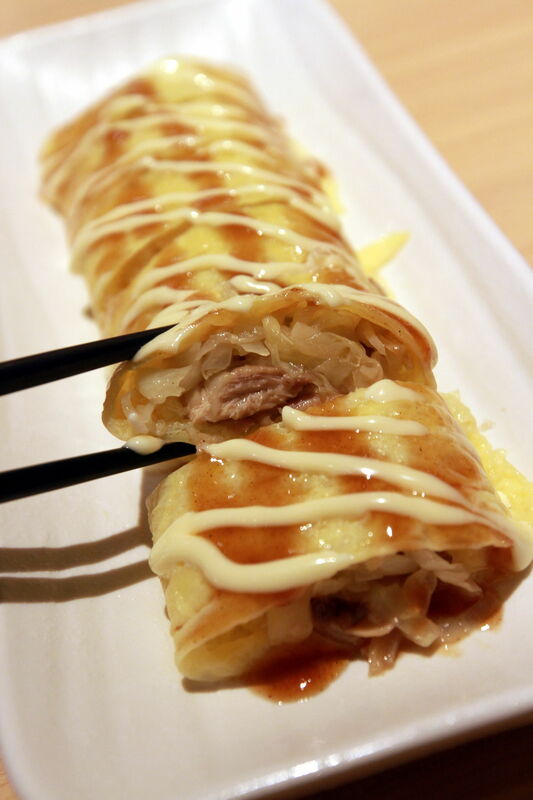 Another dish that goes well with the sauce is Tonpei Yaki, which is found in local markets and consists of shredded cabbage and crunchy fritters wrapped and drizzled with mayonnaise. Beef lovers can opt for Tonpei Yaki pan-fried with sweet onions while those who prefer chicken can choose the grilled poultry at RM9.90 each. The all-time favourite unagi, is a must have during summer and chefs at Sushi King are introducing the Unagi Nigiri at a special price. The rice topped with delectable sliced eel, is best eaten with okonomi sauce. Those wanting something more filling, can opt for Kushiage Bento – made of salmon steak served with Tushiage Moriawase. 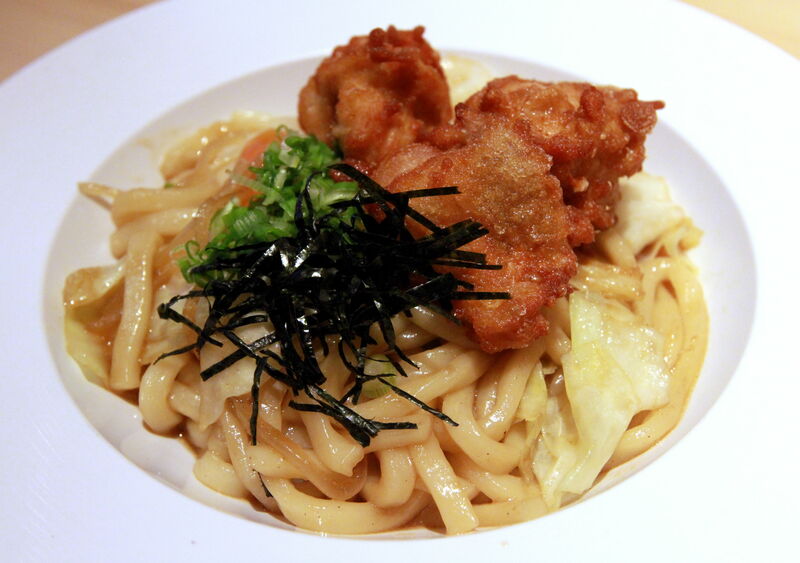 There is also the Chicken Yaki Udon stir fried with okonomi sauce and served with a side of crunchy chicken nuggets. The Kushiage Bento at Sushi King is a salmon steak served with Kushiage Moriawase. “We have also tweaked two dishes to suit Malaysian tastebuds, namely Spicy Edamame (steamed green soybeans) as well as the Spicy Salmon Nigiri,” she said. The Spicy Edamame is tossed with spicy chilli flakes and prawns while the Salmon Nigiri is served with chilli flakes too. To quench your thirst, try the unique ramune, a craze in Japan among young and old alike. The lemon lime soda is packed in an iconic bottle that has a marble stopper to control the amount of liquid that flows out. “We wanted to bring a fun element to the dining table,” added Law. There is also the Kushiage Moriawase, delicious tenpura style snacks on skewers served with the Okonomi sauce. Diners can also choose from Sushi King’s three different sets offering dishes from the Japanese Street Food seasonal menu and the grand menu. The Japanese Street food promotion is until Aug 31 at all Sushi King eateries except for Sushi King Express Aeon Kulaijaya.